On the 24th of Tevet is the Yohrtzeit of Rabbi Shneur Zalman of Liadi, called the ‘Elder Admor’, the ‘Baal Hatnaya’, ‘Baal Shulchan Aruch Harav’ and the ‘Rashaz’. 1. Rabbi Shneur Zalman was the founder of the Chabad Hassidut and the first Admor of its dynasty. He was the main disciple of the Maggid of Mezritch. His books The Tanya and the Shulchan Aruch Harav are cornerstones of Hasidic literature. 2. When Rabbi Shneur Zalman was born, the Baal Shem Tov, the father of the Hasidic movement, made a great feast celebrating ‘the arrival of a great soul to the world that will illuminate the world with the light of the revealed Torah and the Torah of Hassidut, hence he was called Shneur, meaning ‘two lights”. 3. When Rabbi Shneur Zalman came to his teacher the Maggid of Mezritch, the Maggid told him; ‘your soul is a new one that came to this world not to fix up old mistakes from previous lives but rather for the G-dly purpose of spreading the teachings of the Baal Shem Tov making them understandable and accessible through the path of Chabad. That is why G-d waited until then to bring this new soul into the world. 4. Rabbi Shneur Zalman wrote ‘The Tanya’ which is also called “Likutey Amarim”, anthology of essays. The main idea of the book is dedicated to the deep investigation of the inner parts of the soul, clinging to Kabbalistic vocabulary to define them. 5. In his book the Baal Hatanya clarifies that ‘the purpose of all creation is for us to make a dwelling place for G-d in this lower world, meaning to turn the whole world into a holy and G-dly place.’ That is why the work of the nation of Israel is specifically through doing physical mitzvoth, and in this manner to prepare the world and its objects for G-dliness, rather than just sufficing with work of the heart and mind. The Tanya was translated to 11 languages; English, Yiddish, Russian, Spanish, Italian, Portuguese, German, Arabic, Hungarian and Georgian. The Tanya also was published in Braille an up to 2010 , 6000 editions were printed. 6. One of the wondrous spiritual remedies in the book is to strengthen faith in man’s heart. Amongst Hasidim it is a known remedy that someone having doubts about faith should learn the Tanya. He won’t need to find logical answers to his questions yet he’ll find that his doubts will disappear and his faith will be strengthened. The book arouses the G-dly soul and lights up the flame of faith. 7. In addition to the Tanya, Rabbi Shneur Zalman wrote a very encompassing work on Jewish law called the Shulchan Aruch Harav. Unfortunately the original manuscript was burned in one of the firs that broke out in those days and we have just one quarter of the original. The book is considered authoritative in Jewish law for Chabad and many other Hasidic courts and is a recognized authority of decisions of Jewish Law across all contemporary authorities of Jewish Law. 8. Rabbi Shneur Zalman would send monies to the poor in Israel. People slandered him saying that this was proof that he supports the enemies of Russia as Israel was under Turkish Ottoman rule and Turkey was an enemy. 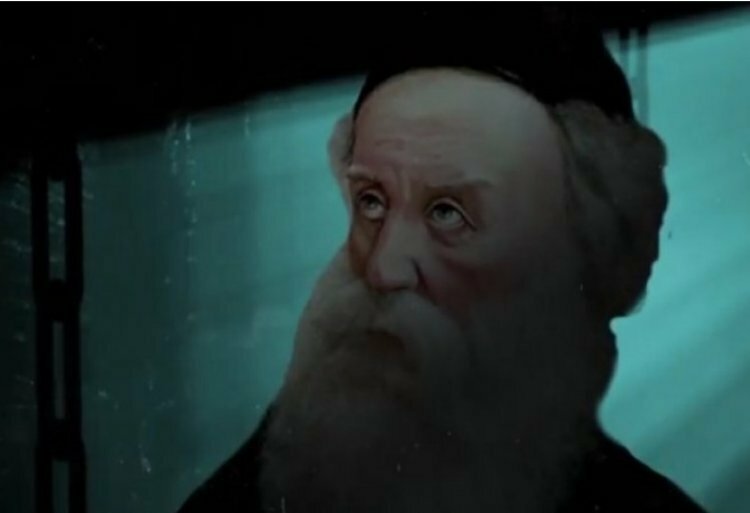 Because of this slander Rabbi Shneur Zalman was imprisoned and was released a few weeks later on the 19th of Kislev which is considered a holiday of redemption in Chabad, since after that Rabbi Shneur Zalman started to spread his teachings. 9. Besides writing many Torah works, Rabbi Shneur Zalman was gifted with great musical talent and composed many tunes. Ten of these songs were preserved in Chabad tradition and according to tradition, singing these songs can arouse a person to repentance. Rabbi Shneur Zalman would say; “the tongue is the pen of the heart and song is the pen of the soul”, and explained that song is an integral part of serving G-d and it helps open the heart for prayer and performing mitzvoth. 10. The holiest tune of the ten we have from the Baal Hatanya is the “Song of Four Gates”. It has four parts which correspond to the four worlds brought down in Kabbalah; ‘Aristocracy’, ‘Creation’, ‘Formation’ and ‘Achievement’. Because of the inherent holiness and great spiritual remedy and meaning this song has, Chabad Hasidim sing it earnestly and carefully on the following occasions: The month of Elul, days of saying ‘Selichot’, supplications before the Days of Awe, Yom Kippur, Simchat Torah, the last day of Passover, Shavuot and Sukkot, and of course, the 19th of Kislev. It is also sung at happy occasions: walking the bride to the chuppa, bar mitzvah, circumcision. It is also sung when a Torah giant passes away.